With a lot of sweat and tears you and your team have finally done it. Your startup is live! The products and services on offer are up and running and the team is ready to rock. But wait, you need customers first, don’t you? To make all your hard work pay off it is imperative to do a successful marketing launch. Because however genius your idea, when it comes down to the nitty gritty – you want to sell it. SEO, email campaigns, Google and Facebook ads and connecting with influencers for your brand. This is all on the long list of marketing efforts you might want to look into. One of the most important aspects of your marketing strategy is still going to be social media marketing. The be-all and end-all key to success, especially for a startup that might be limited by their budget. If you know how to use social media marketing to its fullest potential, you will always be one step ahead of your competition. 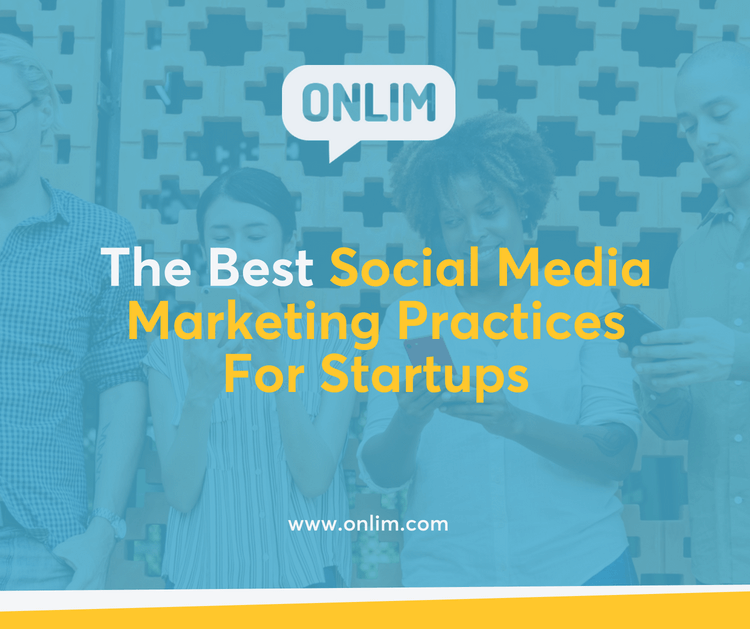 To get you up to speed on the best social media practices for startups we have compiled a quick guide for your convenience. To be heard amongst the multitude of voices out there you have to establish a unique and creative social media marketing strategy. What is it that you want to achieve with your actions and how do you want to get there? This is the most important question to ask yourself when planning your social media marketing efforts. Be totally open and clear about who you are as a company. What are your values and your brand personality? How can you let the unique team spirit of your startup shine through in your communications? The earlier you address these questions, the more consistent your presence on the different social media platforms will be. Be clear about where you want to go and which aspects are going to be the most important to achieve your goals. Brand Awareness: To sell, you must be seen. Make sure to post and interact with your audience on a regular basis. Awesome Content: “Content is king” – Make sure to create unique and valuable content for your followers and fans. The better the content the more likely it is going to be shared. Lead Generation: Your social media content will be shared and will bring prospective clients to your website. Get customers: This is the main goal of all your efforts, make sure to always focus your ambitions with this goal in mind. This is your bread and butter. Here some more tips on how to make the most out of your goals and how to achieve them. Once you have established the strategy and goals for your social media management it is time to choose the right social networks for your specific needs. If you are mainly going to be relying on visual content, Instagram and YouTube will be the social apps of your choice. Facebook is the strongest contender if you are looking for reach of your content. With its over 1 billion users it is still the gold standard for your social media marketing efforts. Your target group heavily influences the choice of the right social network too. If you are targeting millennials your best bet would be to go with Instagram and Snapchat. LinkedIn respectively would be a better choice if your startup is mainly catering to b2b customers. If you are active on a few different social media networks, it is always a good choice to use any help available to stay ahead of the game. Different software solutions and bots can make your life as a social media marketer a lot easier. For example, you can try Onlim for 14 days for free to experience how easy it can be to create, schedule and publish all your posts from just one platform. Why are your co-workers on your team? Because they are very good at what they do – that’s right! Use their expertise in their respective fields to your advantage. Different perspectives from all areas of your startup will bring a unique touch to your content. Your readers will feel that they are engaging with a real brand not just another voice on social media. If you are working as a one-(wo)man-show, you can always hire a freelancer to get some fresh input and create a different kind of social media content. It’s called social for a reason. Be social and engage with your fans and followers. This is what all your efforts are about. You want to create a real connection in the depths of anonymity of the world wide web. Be authentic and real. People are bored of old marketing tricks. Let people know what your startup is all about. Share your visions and dreams. Why did you decide to go for this idea? You must have had a reason, let people know what it was. Reach out to influencers that share a similar vision or trajectory that your brand does. They can become your brand ambassadors and generate a lot of traffic to your site. What were your goals again? Make sure to look at the data that your efforts generate and don’t be shy in changing things up. You are a startup, you are new and still learning. Feel free to experiment, make mistakes and learn. This is how you grow individually and professionally. On social media the hottest trend of today will be gone tomorrow. Make sure to stay up to date on the latest developments. Social media marketing is an excellent opportunity for startups to engage with a wide audience. Don’t be fooled into thinking this is going to be for free. It takes a lot of time and effort to get off the ground. But if you do get it right the reward will be a thriving community of loyal fans and customers. If you start your social media marketing journey with our guidelines in mind you are setting yourself up for success. The rest is up to your hard work and the levels of assistance and automation you can set up.